Here’s a piece with a short story written and read by Dave Moore. Just as I have my bicycle ride poems, Dave has his morning dog walk poems and stories, and this one is one of my favorites. Dave tells me that he thinks he may have messed up the ending in this performance of “I Was Not Yet Awake ,” but I think it works just fine. I’ll let the story unfold as you listen to it without a lot of commentary from me this time. “I Was Not Yet Awake” is a story about neighborhoods, neighbors, and trust, distrust and need. Dave Moore is also a cartoonist. 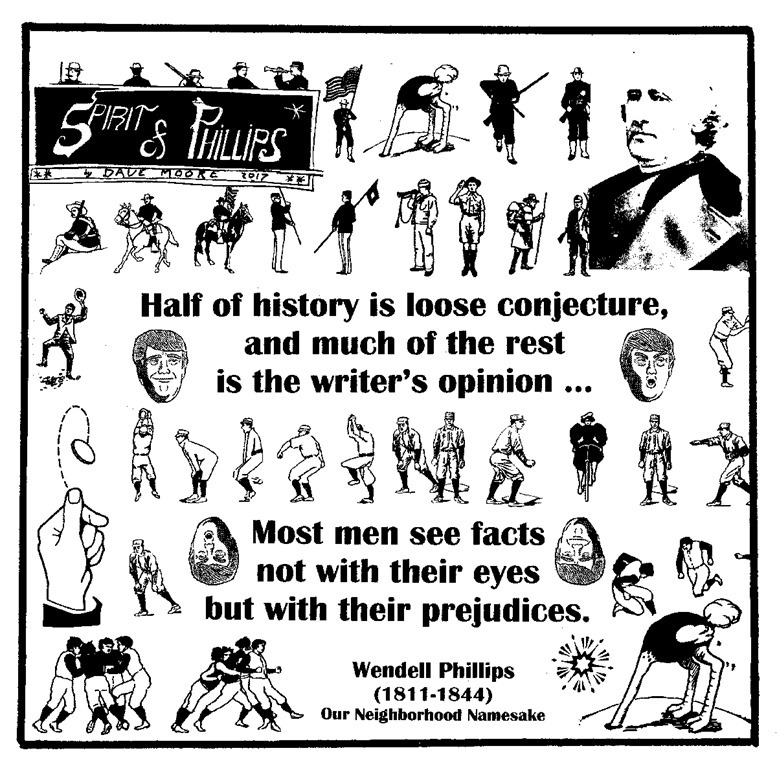 His “Spirit of Phillips” reinvigorates the work of radical Abolitionist Wendell Phillips. Dave is the alternative reader with the Parlando Project, and he also plays most of the keyboard parts you hear here on other pieces featuring the LYL Band. This story is much different from the last piece, where I tried to mash up Capt. Beefheart and Gertrude Stein, and it will also be different from the next episode. That variety in music and words is part of what we do. So go ahead and listen using the player you will find below. Our audience growth in the past year has been largely as result of readers and listeners like you who have spread these audio pieces by sharing on social media or through their own blogs. Thanks to everyone who’s helped! Next > What is Poetry and What Is It Good For?